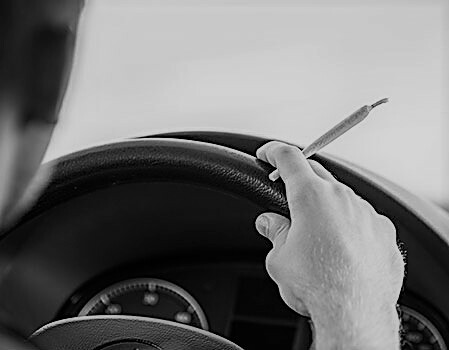 If you are pulled over and arrested for drug possession involving marijuana, heroin or cocaine, then you may also be charged with the traffic offense known as CDS in a Motor Vehicle. Under NJSA 39:4-49.1, possession of CDS in a Motor Vehicle carries a mandatory license suspension for two (2) years. For some clients, a two year license suspension is more devastating than a criminal record. With how much we rely on transportation for employment and family, it is imperative that we keep our driver’s license from being suspended. Although CDS in a motor vehicle is a traffic offense in New Jersey, the penalties if convicted are equally as devastating as someone who has been convicted of a second offense DWI. As you will see below, anyone convicted of this offense will be facing a mandatory two year loss of license. There is absolutely zero discretion when it comes to not only if the individual’s license will be suspended but for the time period to. If you have been arrested and charged with possession of CDS in a motor vehicle, possession of less than 50 grams of marijuana or possession of drug paraphernalia in Burlington County, contact a criminal defense attorney immediately. The Burlington County criminal defense attorneys at Proetta & Oliver have spent their careers practicing criminal law. Our team of criminal trial lawyers understand the intricacies and changes in the law concerning criminal drug cases and traffic matters. We understand our clients’ concerns and we make ourselves available to our clients to help ease these uncertainties. To speak with an attorney, please contact us at (609) 850-8284. We can go over the facts of your case and work towards creating defense that fits your needs. We serve all of Burlington County, including Washington Township, Chesterfield, Burlington Township, Cinnaminson, Delran, Mansfield, Palmyra, Mount Laurel, Mount Holly and Southampton. Will I Lose My License For Having Marijuana in My Car? If you plead guilty or are found guilty of a controlled dangerous substances like marijuana in your car, then you will be facing a mandatory license suspension of two years, pursuant to NJSA 39:4-49.1. Additionally, the court will impose a mandatory minimum fine of $50.00. This is in addition to any fines, probation or jail time that the court imposes for any criminal charges that you are facing for NJSA 2C:10-35a(4). If you have been arrested and charged with CDS in a Motor Vehicle, possession of marijuana, possession of heroin, drug distribution or possession of cocaine, the law firm of Proetta & Oliver can help. Our team of criminal trial attorneys includes former NJ Deputy Attorney General, William C. Fay, IV. Having spent part of his career prosecuting cases on behalf of the State, Mr. Fay knows exactly where to find the weaknesses in the State’s case and can mount a successful defense to your charges. We will help fight against any suspension of your Driver’s License and work to keep your criminal record clear. Our office has appeared in courts throughout Burlington County, including towns like Bordentown, Bass River, Burlington, Medford, Maple Shade, Evesham, Mount Laurel, Moorestown and Pemberton. Contact our office and schedule a consultation with an attorney today. We can be reached 24/7 at (609) 850-8284.